The activist firm has taken an 8 percent stake in the payroll data processor, which has already rejected its request to postpone a deadline for board nominations. Bill Ackman is back in the fight. 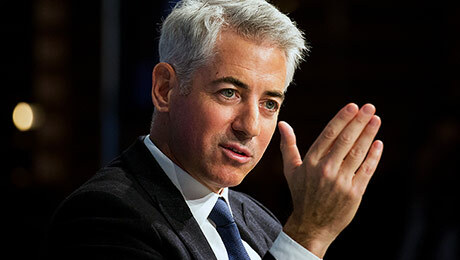 Ackmans Pershing Square Capital Management confirmed Friday that it has an 8 percent stake in ADP, the $50 billion payroll data processor, and is readying for a proxy fight in order to achieve transformational change at the company that could end up ousting the current CEO. But if the hedge fund activist thought this effort  his first activist play since he sold out of Valeant at a $4 billion loss earlier this year  would be easy, he was wrong. Rumors that Ackman was building a stake first surfaced about ten days ago, pushing the stock from under $100 to $120 before it slid back down to about $111 at the close on Friday. The stock bump followed some dour news at ADP. Since 2014, earnings at ADP are down, the company just missed Wall Street estimates for its latest quarter, and short interest in the stock is at a record high. Those are all signs that change is needed, investors say. 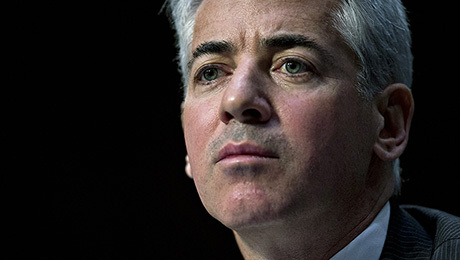 Before he revealed his stake publicly, Ackman on Thursday met with ADP CEO Carlos Rodriguez in an attempt to keep the discussions private, according to Pershing Square. Ackman asked for ADP to postpone its deadline for board nominations, which is August 10, so talks could continue. Ackman also suggested adding several independent directors and himself to ADPs board. We discussed the need for transformational change at the company and expressed a willingness to work with existing management or, alternatively, an external CEO candidate, to effectuate that change, the hedge fund firm said in a statement. But ADP, based in Roseland, N.J., is having nothing to do with it. On Friday morning it surprised Ackman by issuing a press release saying it was denying his request  signaling that it too is ready to fight. The Board has unanimously determined that it is not in the best interests of ADP or its other shareholders to accede to Pershing Squares last-minute request for an extension, the ADP press release stated. ADPs unusual pre-emptive move forced Ackman to come out and confirm the stake, even though he has yet to file a 13D, which he plans to do Monday. Some of the stake, which is now worth about $4 billion, was made with derivatives. The gains hes already made in ADP helped push Pershing Squares hedge funds into the black this year, after they were down as much as 4.7 percent in early July. Pershing Square Holdings is now up 0.9 percent. In its release, ADP said that under Rodriguez its stock has gained about 202 percent over six years, including dividends and shares of spinoff CDK, which is more than the 128 percent return of the Standard & Poors 500 stock index. 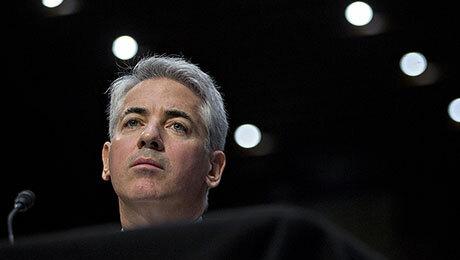 This year, however, it has underperformed the S&P 500  even including the Ackman bump. We were disappointed to learn from an ADP press release that the company has denied our request for an extension that could have facilitated constructive discussions, Pershing Square said, adding that it will nominate a minority slate to the board. Based on extensive research and due diligence, Pershing Square believes that there is an enormous opportunity to improve the operating performance of ADP by accelerating growth, improving the quality of ADPs software and service offerings, dramatically reducing operating costs, and increasing efficiency, it said. Following the bruising he took in Valeant, Ackman has been planning a big new investment for some time. This summer, he has also raised money for his ADP stake via a co-investment vehicle. Such funds allow investors to place a bet on a single stock and not have to worry about the rest of Pershing Squares portfolio. He last used a co-investment fund in the summer of 2013, when Pershing Square took a stake in Air Products & Gas. Ackman installed a new CEO at Air Products, and his stake is up about 80 percent, including a spinoff of Versum Materials.